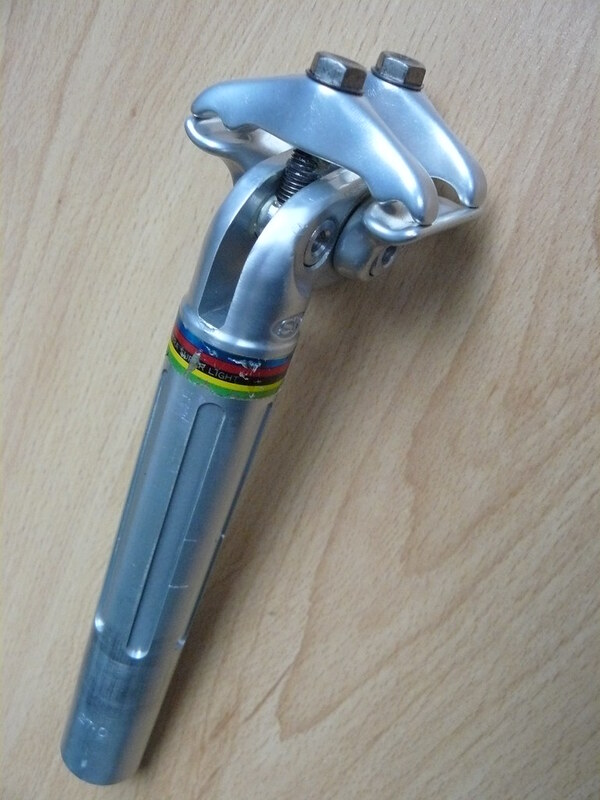 This SR seat post is not 100% the ideal match with the Super Light stem, but I will rate it as 9 out of 10. This ESL post must be exactly the same type as I had on my old Batavus. 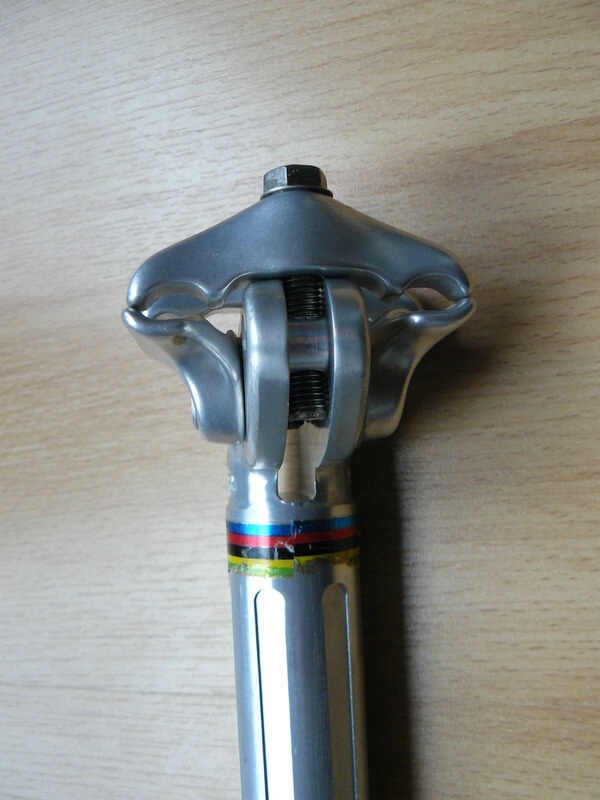 Back then, it was already a very, very nice seat post, although no Campagnolo and not Italian. In the past experienced some bending problems with the lightweight (fragile) machined head and maybe even breakage at the end. 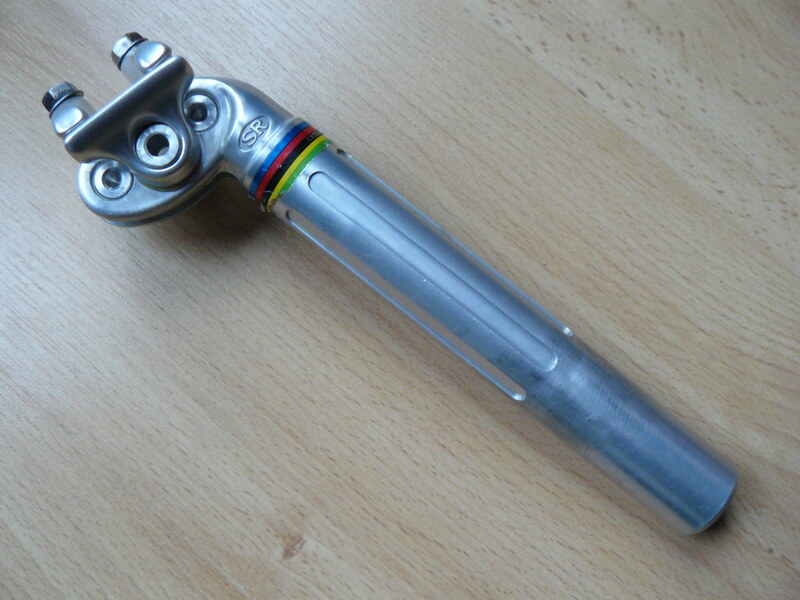 This post is nearly new and unused and during the installation on my Superia track bike everything was still looking okay. The assembly of the saddle is a bit a pain in the neck. The Campagnolo-like 2 bolt construction may be a safe one, but reaching and turning the bolts is fiddly, especially with a regular wrench. After so many years it's really to look out for a special Campagnolo wrench for this kind of job. My Superia frame is made with Ishiwata 022 tubing and I measured an internal seat tube diameter of 27.2 mm, but a seat post of that size goes in quite difficult. So, during my hunt for a proper SR seat post, I didn't limit myself to a 27.2 mm size, but I felt free to go for a 27.0 mm size as well. Now I have that size and the seat post goes into the frame (too?) easily, but it still may be better than forcing a 27.2 mm post into the frame and damaging the post. It will work.